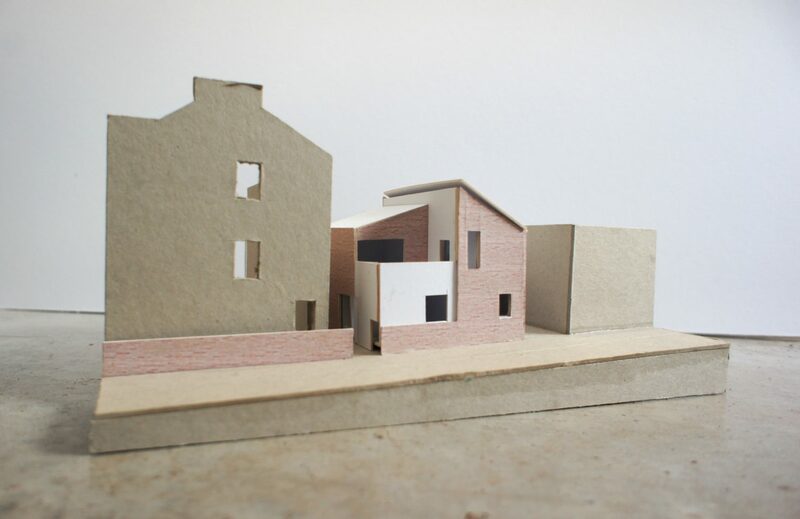 Magdalen Road, Exeter - work starts on site at our project in central Exeter. Our site banner goes up on the scaffolding at Magdalen Road, Exeter. 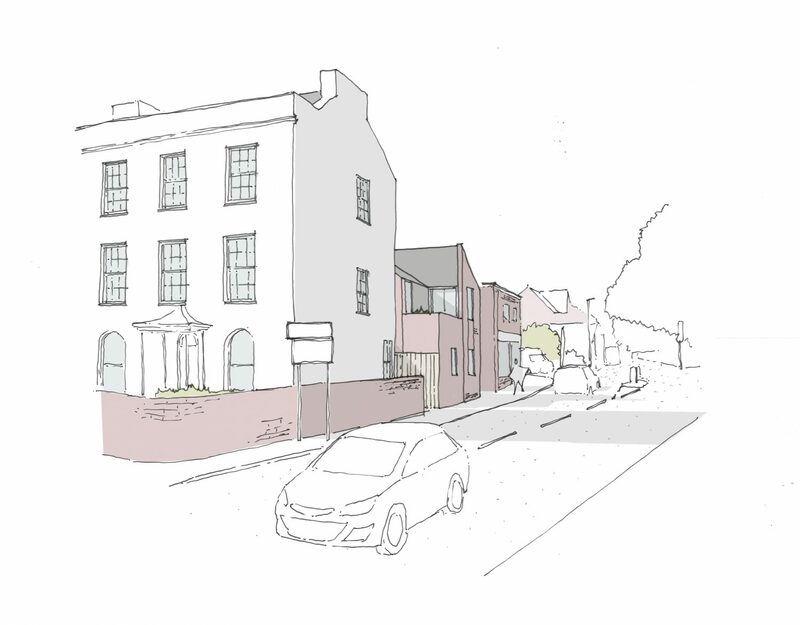 This project involves the refurbishment of the existing Grade II listed building on Magdalen Road, Exeter into three flats as well as the construction of a two new build apartments in the rear service courtyard behind the existing house. 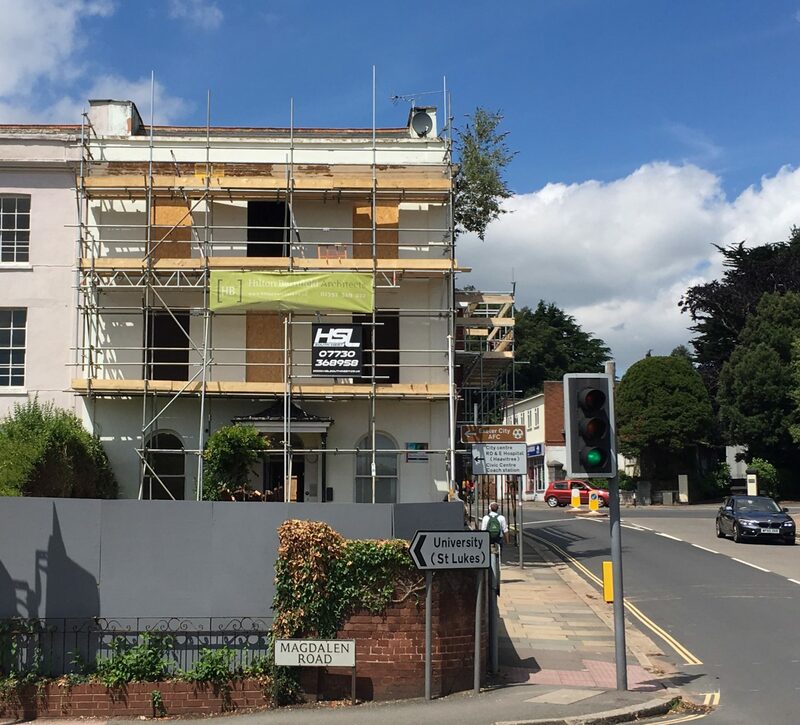 The site is just around the corner from our studio on Heavitree Road in Exeter making it convenient for our team of architects to keep a close eye on progress. 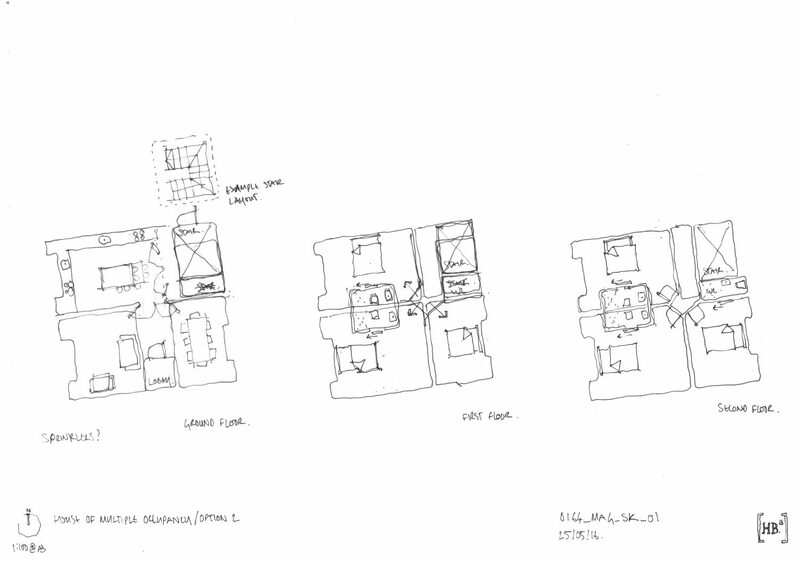 The existing Grade II house will be sensitively converted into three apartments and refurbished throughout. This work will be carried out as Phase One of the project. The project will create three one bedroom apartments in a highly desirable area of Exeter close to the city centre and popular shops and cafes on Magdalen Road. A contemporary development of two new build apartments. As part of the project Exeter City Council have granted planning permission for a contemporary development of two new build apartments in the service courtyard behind the existing house. This work will be carried out as Phase Two of the project which we expect to start on site later this year. The new building has been designed to make a positive contribution to the streetscene in the St Leonard’s Conservation Area. The planned new build apartments have a contemporary edge designed to compliment the surrounding historic buildings whilst avoiding a pastiche of traditional building styles.